to write for the new "Perfect Mothers," for our table read at NYMF next Wednesday? Charles duChateau puts down the cello and picks up the accordion for "No One Cries at My House," with Nanny Assis on percussion, and my son Nick Lerangis on guitar. 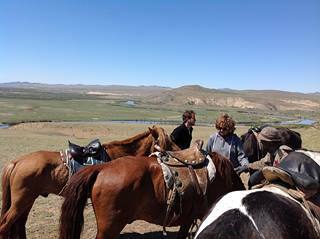 On the Mongolian steppe with son Joe.